In the Monday kickoff to the historic climate conference in Paris, Bill Gates unveiled a new role as a global recruiter for billionaires willing to push clean-energy ideas out of the lab and into the marketplace. The Breakthrough Energy Coalition lists more than two dozen members from 10 countries that span the globe from India to Africa to Saudi Arabia. In addition to Gates, they include Amazon founder Jeff Bezos, Alibaba Group executive chairman Jack Ma and Facebook founder Mark Zuckerberg and his wife, Priscilla Chan. The coalition will partner with 20 countries that have pledged to increase their spending in clean-energy research and try to greatly speed up a global transition away from fossil fuels. The coalition is expected to muster billions of dollars in investment, but no specific figures were announced Monday. Q&A: What's summit about, and how is Seattle represented? Though this is his highest-profile action to date, the Microsoft co-founder has been active for years on the energy and climate front. He has lobbied for more federal spending on energy research and has invested some of his own fortune in startup energy companies. He even jumped into the political arena in 2010 when he donated $700,000 to help defeat an initiative that would have suspended state laws to reduce greenhouse-gas emissions. 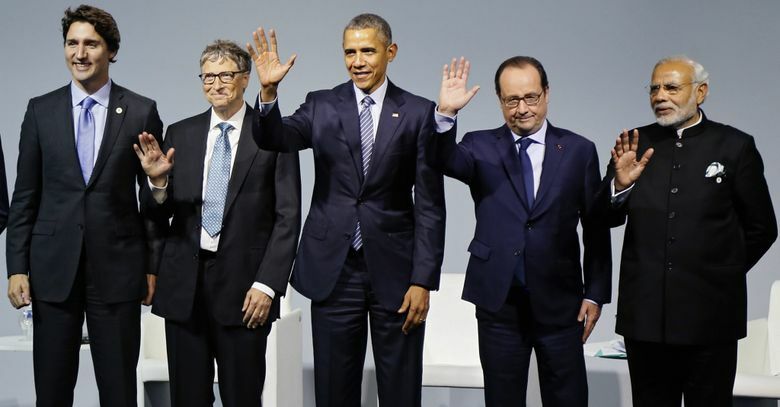 “Having people of Gates’ stature speak up makes a huge difference,” said Ross Macfarlane, a senior adviser at Climate Solutions, a Seattle-based clean-energy policy group that featured Gates as its keynote speaker at a 2011 annual meeting and fundraiser. In recent months, in the run-up to the global climate conference in Paris, Gates has sharpened his focus on energy transformation. In an interview published in November in The Atlantic magazine, Gates argued that the threat of climate change was so severe that the world in the decades ahead could no longer afford a transition to lower-carbon fuels such as natural gas. Instead, he called for the world economy to leapfrog ahead to develop clean-energy sources that don’t emit carbon dioxide and other greenhouse gases that drive climate change. • Solar chemical technology that could harness sunlight to create fuels. • Solar paints that could transform walls, car-tops and other surfaces into generators of electricity. • Flow-batteries that could last longer and hold more energy than lithium ion batteries and that could be used to help store energy created by solar cell and wind power. Seattle's famed philanthropist wants a posse of billionaires to take on climate change. We need them. But how far will technological magic go? Gates’ own personal investments in clean-energy technologies, which number in the dozens, have come through Cascade Investment LLC. They include a stake in Sapphire, a California-based company that is working to turn algae into biofuels, and Ambri, a Massachusetts-based company that is developing a utility-scale battery for storage. Gates is also chairman of Bellevue-based TerraPower, a company that he helped launch in 2006 that is trying to develop new technology that uses depleted — rather than enriched uranium — to produce safer and cleaner nuclear power. The hope is that nuclear power, with zero carbon emissions, could then play a significant role in the transition to a clean-energy future. 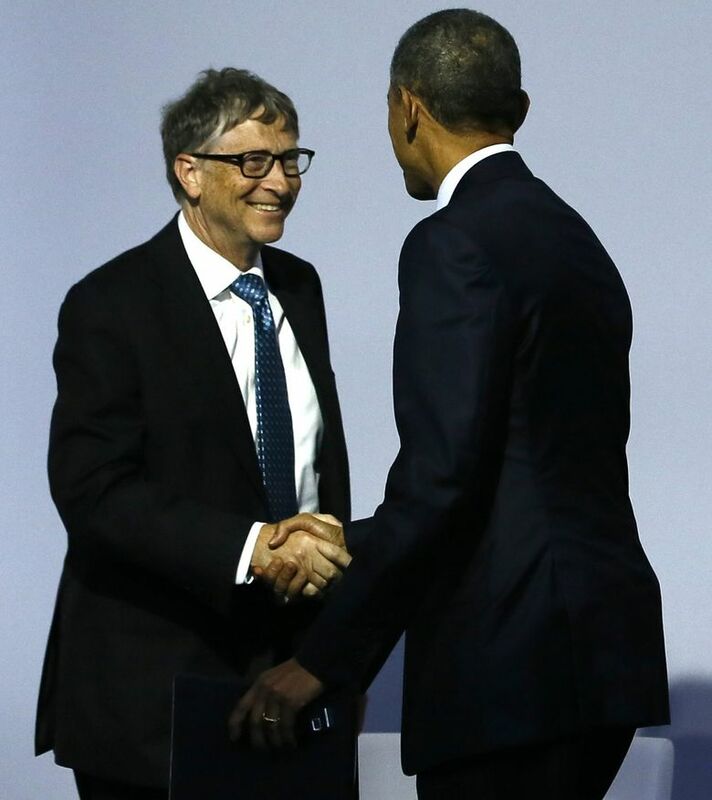 In an interview earlier this year with The Financial Times, Gates said over the next five years he would double his $1 billion personal investment in clean-energy technologies. In the aftermath of the announcement of the Breakthrough Energy Coalition, that dollar figure could climb higher, but there no numbers were disclosed in Gates’ Monday blog post. All of this was welcome news to Washington’s own clean-energy entrepreneurs, such as David Kaplan, a former Microsoft employee who in 2011 founded Seattle-based 1EnergySystems. It has developed software technology to help electric- power utilities smoothly integrate battery storage into their grid systems. Kaplan thinks his company has huge long-term growth potential that might attract the interest of the Gates coalition. But his company doesn’t offer the potential for the kind of quick-turn around profits that typically bring in investors. The 1Energy Systems technology is now being used by the Snohomish County Public Utility District, which, over the past year, has installed battery- storage technology able to supply 750 homes with an hour’s worth of electricity. The PUD has decided that all new growth in power demand will be met from sources other than fossil fuels, and the battery systems are intended to help balance demand with a supply that — with increased reliance on wind and solar power — is more intermittent. The cost of these storage systems is about $7 million, partially paid through a state grant.